The foundation for restaurant growth requires a key ingredient: a loyal and ever-expanding customer base. Today, there is a flourishing market with great spending power: Millennials. Millennials were defined in 2015 by Pew Research Center as those ages 18-34; and according to US Census Bureau, have surpassed baby boomers as the nation’s largest living generation. In spite of being an over-confident, optimistic and individualistic generation, the millennials have also created a tight relationship with cell phones and the web, which gives them direct access to the most influential channels in the world: Social Media. 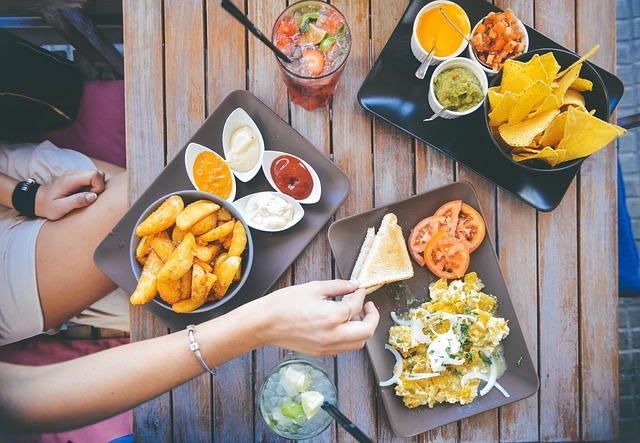 Nowadays, restaurants can’t ignore anymore the significance of this necessary evil because millennials' opinions and personal position have created an intangible value for any restaurant brand. Fresh and organic food - are the ingredients used at your restaurant farm-to-table? Or better yet, are they locally grown? Millennials pay a lot of attention to these type of details and something like this would really make them walk in or avoid your restaurant. Customizable food - A lot of restaurants are still very strict when it comes to substitutions or when a customer has a special condition. However, there are others that see the need and benefit to cater to this market and offer alternatives to special diets, for example, gluten free items and such. Social change - Millennials also are very into social change - whether they’re participative is not the topic here - and they want to see that the restaurant they frequent is making a difference as well. So, get involved with a cause, it is another way to show that you support the local community. More Visual and Engaging Brands - A restaurant brand needs to be more than a logo and a slogan. It has to do with the overall experience, from the moment I, as a guest, engage with the brand through social media or the restaurant’s website, to the moment when I walk in to the restaurant, to the moment I receive the menu and interact with it, to how the food is served and brought to my table. It is all about THE EXPERIENCE. Relevant Content - Lately, more and more restaurants are creating relevant content through blogs. This allows restaurants to boost their SEO in an organic way, and also creates another outlet to supplement what goes out through social media. Making a Difference - Making a difference has to do with with your restaurant involvement with the local community. From buying locally grown ingredients to supporting hyperlocal events to donating to a local cause. 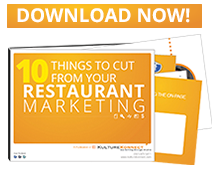 Re-Think Traditional Tactics - Millennials could care less about direct mail, so, if this is still part of your restaurant marketing plan, take the time to figure out the amount of business that strategy brings and if it would be worth it to test other outlets, such as social media. Storytelling - With the experience comes your story. Your brand needs to tell a cohesive and exciting story that can be easily translated into your restaurant marketing strategy. Make your guests -and staff- participative so they feel valued and moved to tell your story to the community in a positive way.